Remember when we wrote a blog article about these Chinese VIE’s? Well the International Herald Tribune has picked up on this threat and wrote their own piece about it just a few days ago. This article highlighted a ruling by the Peoples Supreme Court about this where the court found: “contracts used by non-Chinese citizens to gain access to sectors of the Chinese economy that are protected from foreign investment were invalid. 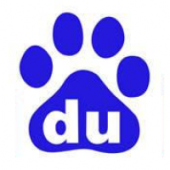 Companies such as Baidu, Todou, New Oriental and others are fall into this category. When investing in an VIE structured company, there is always a chance the investment could be brought to zero by the stroke of a pen. An investor is trusting in the Chinese government won’t make this an issue down the road. Even though the likelihood is small, my opinion is that there are plenty of other good companies to invest in that don’t carry such a high risk. So why bother?